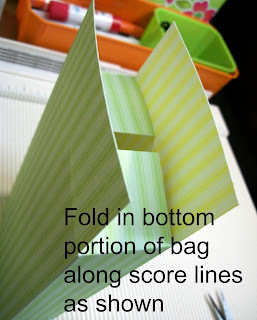 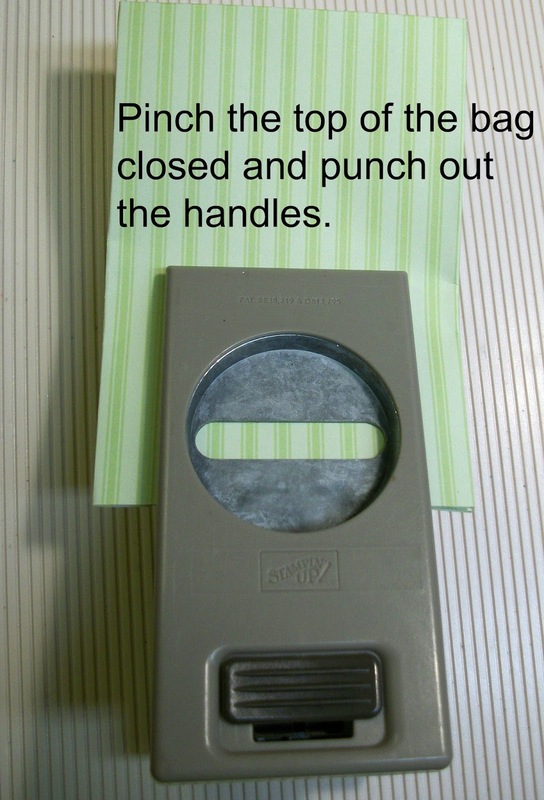 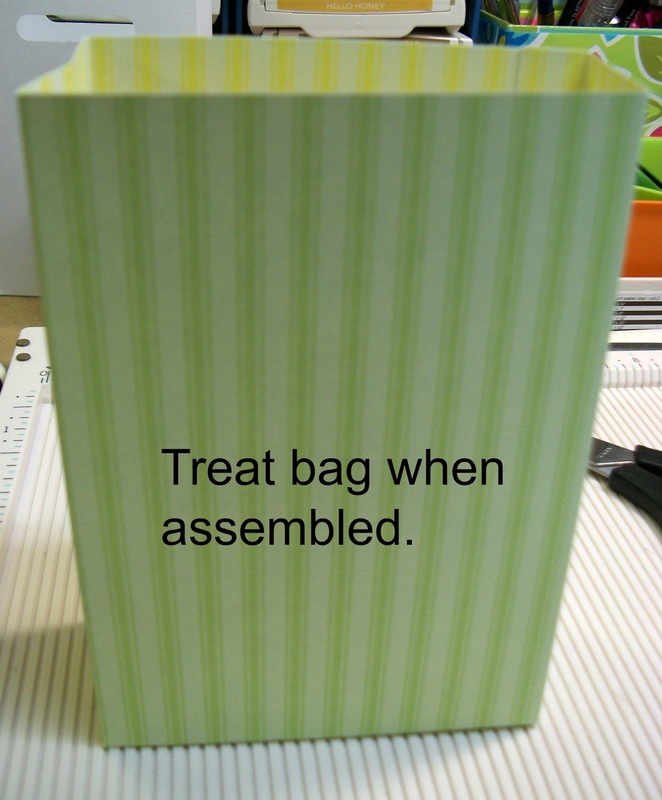 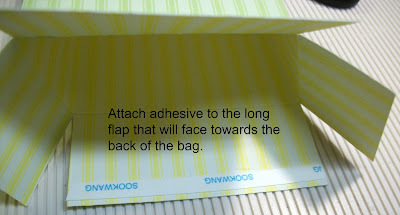 These little treat bags are easy to make. 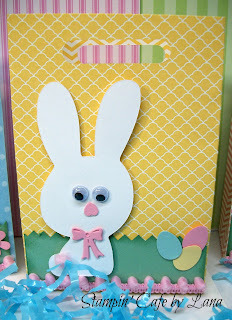 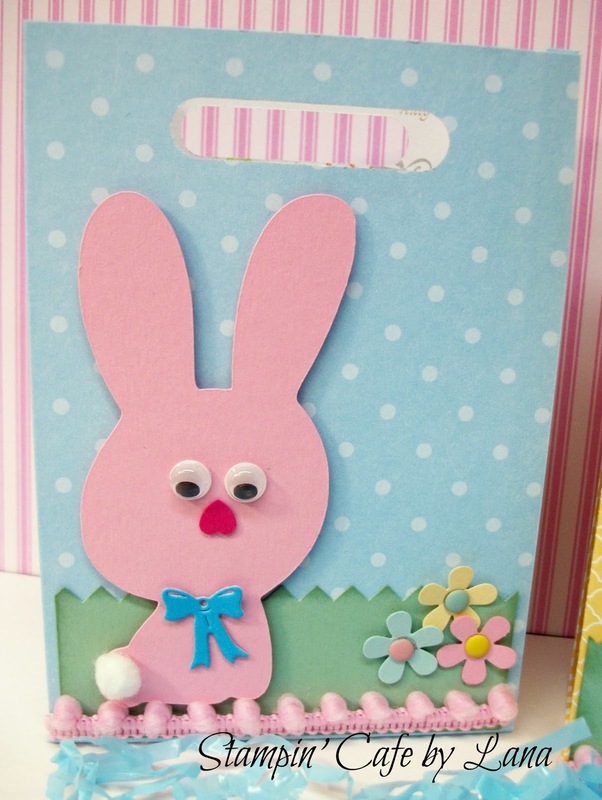 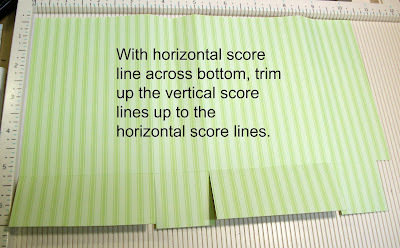 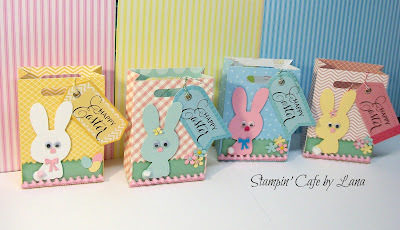 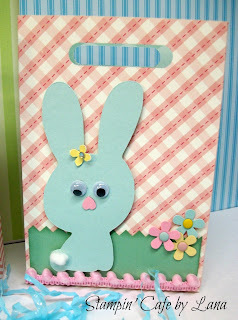 You start with a piece of patterned paper or cardstock cut to 6-1/2 x 10-1/2 inches and you end up with a cute little treat bag that measures 3-1/2 inches wide, 5 inches tall, and 1-1/2 inches deep, large enough to hold some cute little Easter treats! 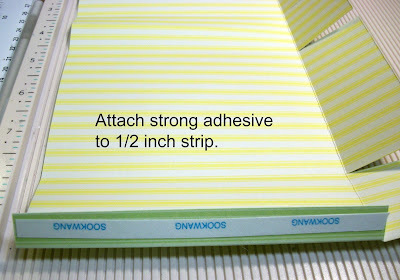 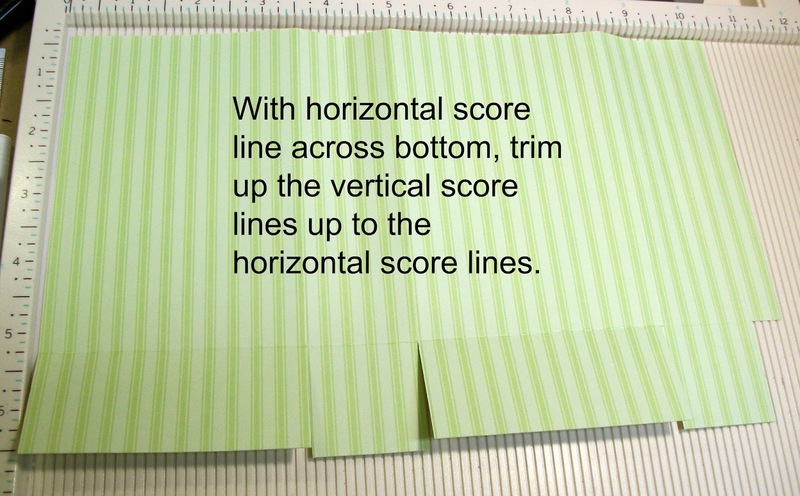 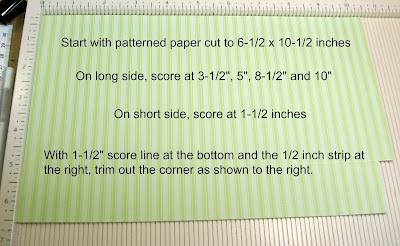 Directions with pictures are shown below. I decorated each one with a piece of cardstock cut with pinking shears to resemble grass, added some pink pom-pom trim across the bottom, and added some small punched out flowers or eggs. 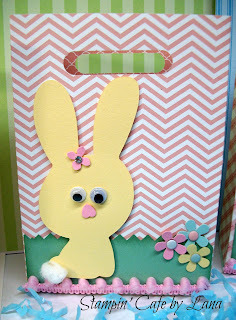 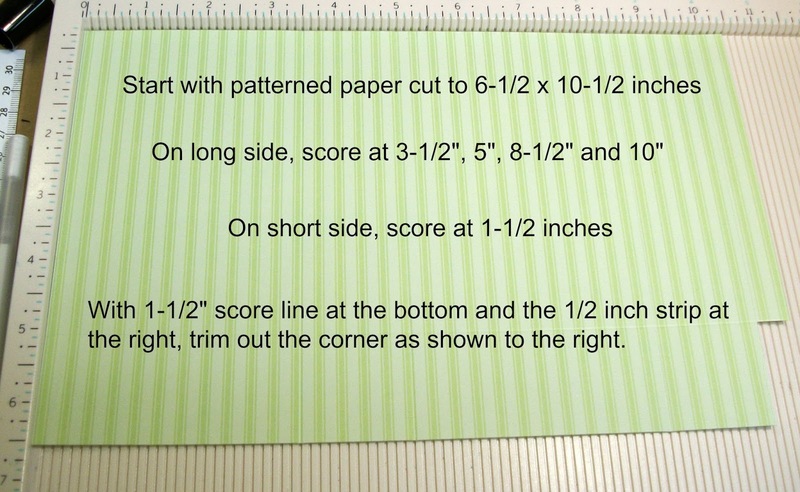 For the bunny, I used a Cricut cut from Stretch Your Imagination, p. 68, cut at 4-1/2 inches. 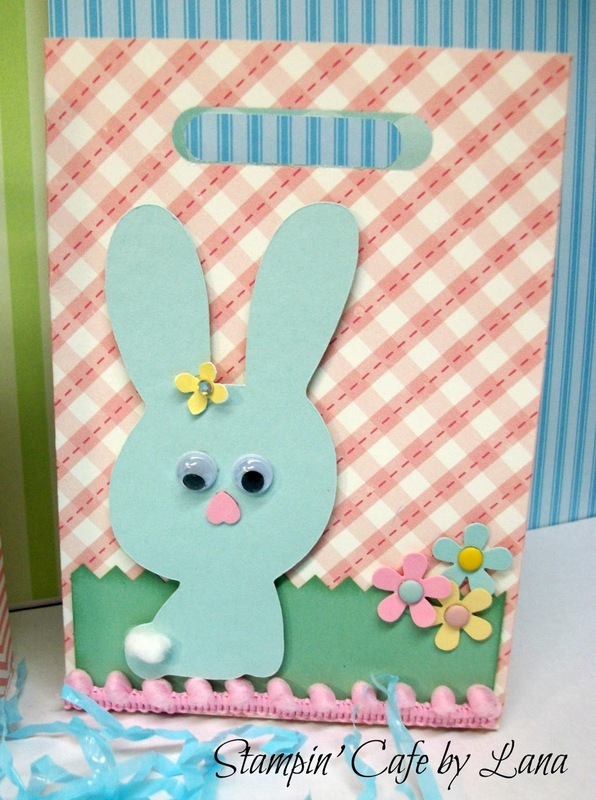 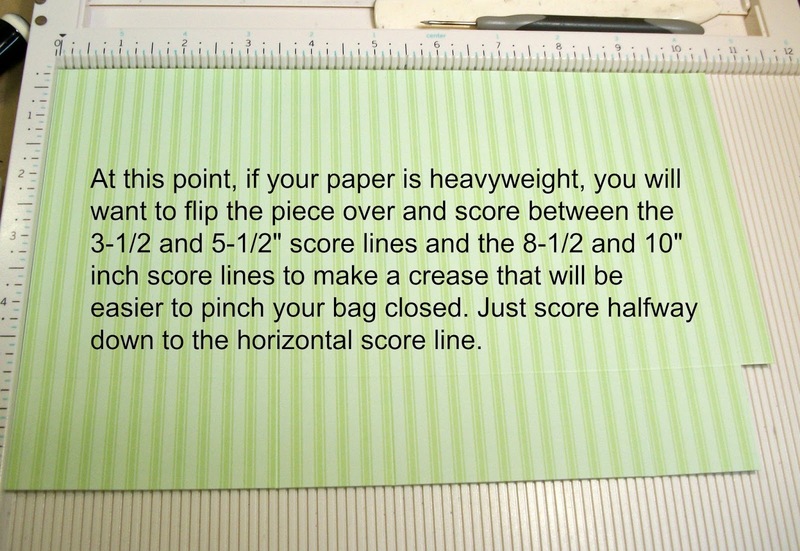 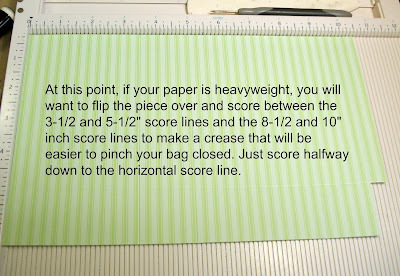 It will also cut a basket, so you will need to stop your machine when it finishes cutting the bunny if you don't want the basket to cut as well. 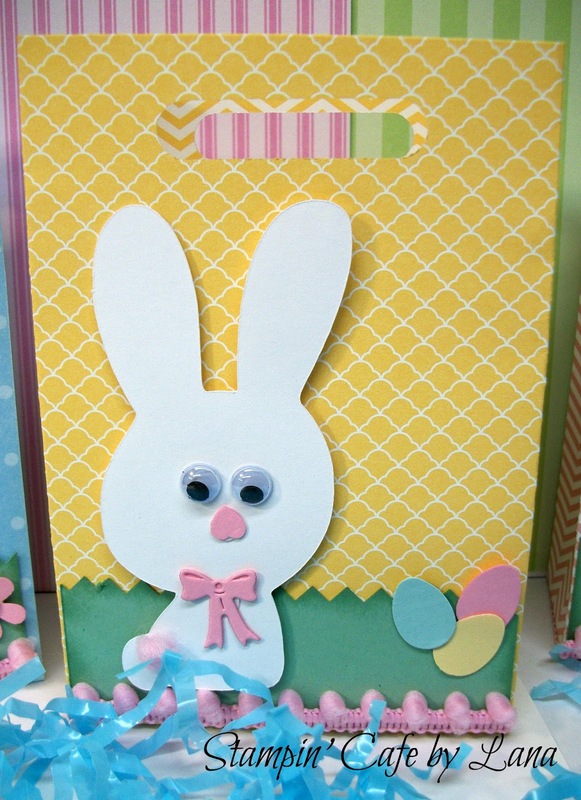 I added either a flower or die cut bow to the bunnies, some googly eyes, pink punched out hearts for the noses, and small pieces of cotton wadded up and glued on to make the tails. 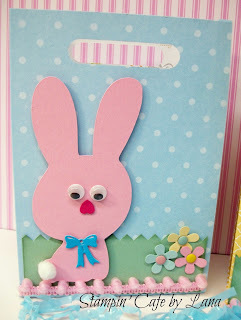 On one of the bunnies, I used a pink pom-pom from the trim. 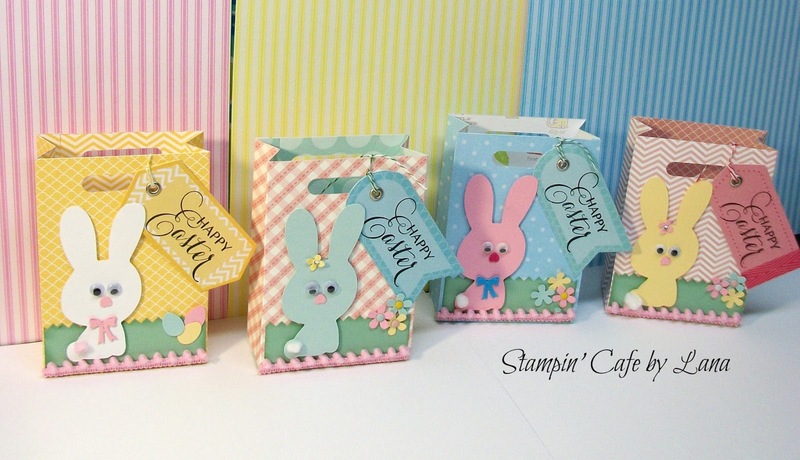 The tags are from EK Success and the Easter stamp is from Stampabilities (Hobby Lobby). Decorate as desired and fill with your favorite treats or gift item(s)!